If you enjoy making art and sharing it then this could way to express yourself! 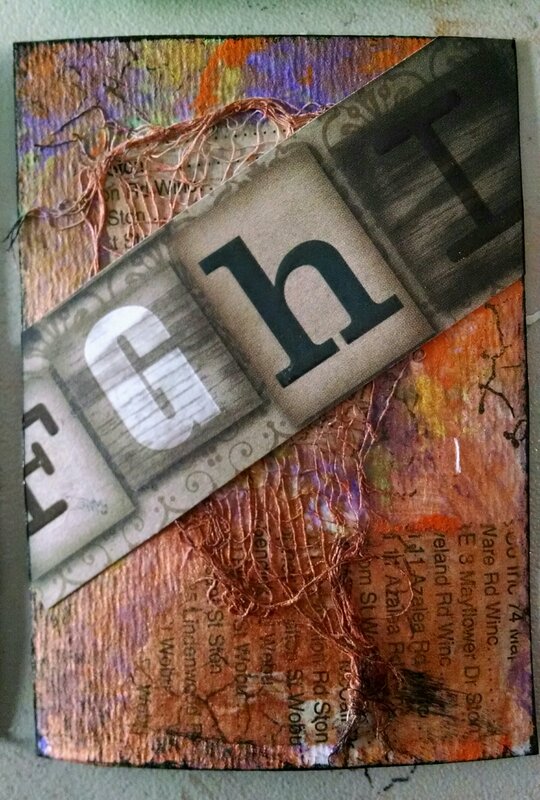 ATC stands for Artist Trading Cards. They are mini pieces of art. She same size as a baseball card and they are meant for trading. 2 1/2″ x 3 1/2″. Some artists sell them but that is highly controversial. 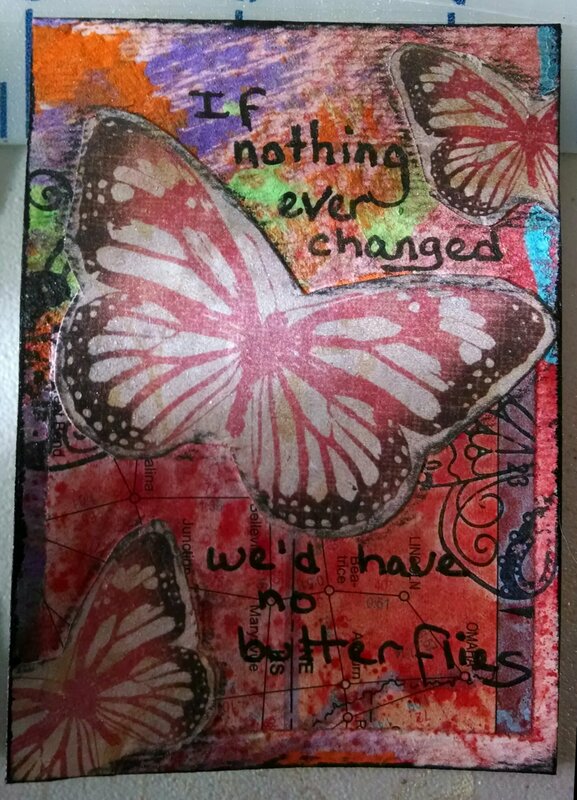 I had heard about ATCs at different art classes but didn’t really get it until I signed up for a meetup event this week. I made cards to trade based on a theme and brought home cards that others had made. It was so fun. These are the cards I made. The first theme was Butterflies and the second was Letters. I really enjoyed making these mini mixed media pieces. Here are closeups of 2 of my favorites. I encourage everyone to “Get your art on” and stretch your creative muscles. Search Pinterest or Google images for artist trading cards. Visit Meetup.com to find local groups. Last night I found http://www.artfortytwo.org and they post projects for trading by mail. 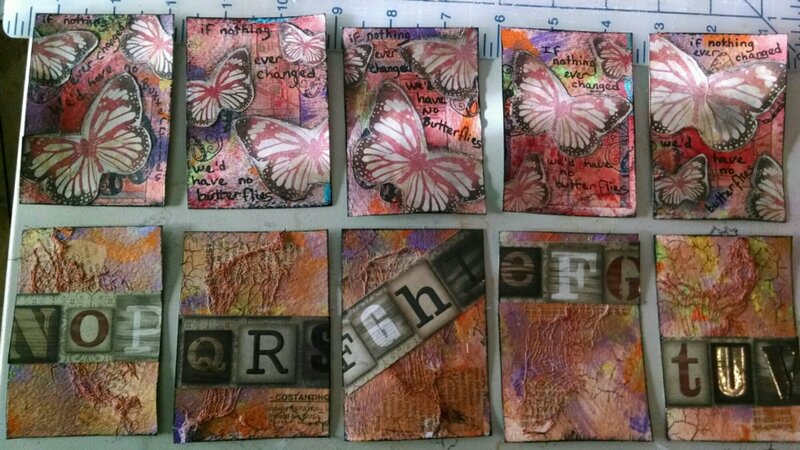 I can’t wait to start making more ATCs!